There are ways to change your lifestyle that can save you a ton of money. We look at 5 lifestyle changes that can make a huge difference to your pocket. Are you tired of getting to the last week of the month and finding yourself staring at an empty wallet? It’s more common than you think, but that doesn’t mean you have to resign yourself to eating ramen noodles and PB&Js. Instead, find ways to save money so that way you have the cash you need all month. It’s not as hard as you might think – in fact, there are five ways to change your lifestyle that can make a big difference. Here are some ideas you can start today! Cigarettes, wine, beer, and drugs are incredibly expensive. Americans spend thousands of dollars a year on cigarettes. Getting sober and getting these substances out of your life will save you a ton of money. Of course, there are other benefits to getting sober as well. Your health will be better, your health insurance costs may go down, and you won’t be causing long-term damage to your body. Are you looking to get clean from illegal drugs or alcohol, but can’t seem to do it alone? A center like Inspire Malibu can get you on the right track. You know that bag of chips or soda isn’t good for you, but hey, it’s just a snack, right? It may be just a snack, but it’s hurting more than your waistline. It’s hitting you right in the wallet as well! Grabbing a soda from a gas station can cost you $2, and chips are another $2. If you do that five days a week, you’re spending $80 a month on junk food. That’s only the pop and chips – if you add in the other junk food you grab throughout the day, it’s probably much more. Eating out is wonderful, we know. There’s nothing like getting any meal you want while someone else does the work and cleanup for you. However, all of that convenience comes at a price. Even take out or drive through food is expensive, and you can create a much better meal at home. When you cook at home, you can still keep it simple. Buy fish fillets that are individually frozen, chicken breasts that you can put in the oven frozen, and microwavable vegetables. Before you know it, you’ll be healthier and wealthier! If you live in an apartment, then maintenance is something you can get for free. If not, or if you have to help pay for it, learn to do things yourself! You can repair minor wall dings, handle some plumbing, fix your own bike, or put a button back on a shirt. This can save you a lot of cash on buying new items or hiring a professional. One technique that’s especially helpful is to avoid impulse buying. Amazon gives you a simple way to do this – the wish list! If you see something you love online or in a store, find it on Amazon. Add it to your wish list and give yourself a waiting period – from 48 hours to a week. You’ll be amazed at how many things you “had” to have lose their appeal in a few days. No one likes running out of money or dealing with financial stress. 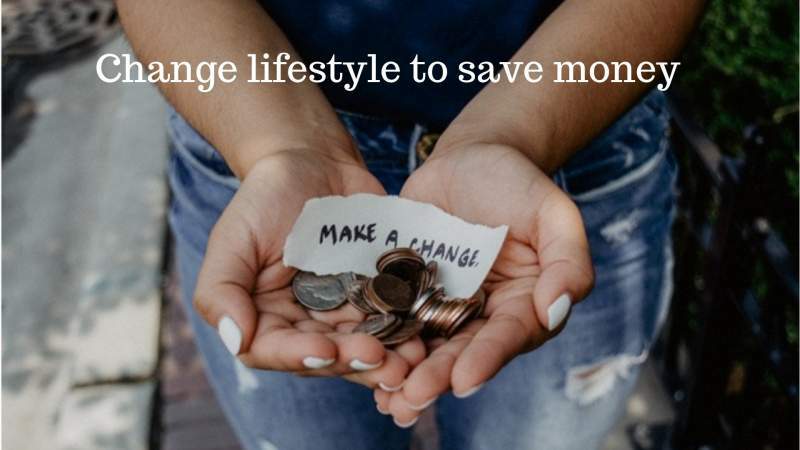 Fortunately, there are ways to change your lifestyle to save money – and not all of them are difficult. Most of our actions are simply habits. By creating new habits to replace old, expensive ones, you can have more money left over each month without too much trouble! Interested in earning more to boost your budget? Our Earn Money category has everything you need. Medical expenses are something that we all should have because we never know what could happen in future. And medical expenses could be one of the biggest challenge if you don not have a health insurance. So make sure you have right insurance with you which covers most of the benefits which you want with your medical policy. This way you can save a lot on your medical expenses which usually higher as compare to any other expenses.